Generally speaking, we will divide the USB drive to two partitions and usually set one of them to the hidden partition. To set a hidden partition could make your confidential and important files in a secure position. No matter what you delete or format the partition showing mistakenly, the files and data in the hidden partition would be safe without affecting the integrity. However, the Windows operating system only recognize the whole USB drive as one partition by default. It makes the hidden partition could not be displayed, and sometimes, it also affects the another partition couldn’t be used in a proper way. Due to this kind of situation, we have to delete the hidden partition in the USB drive. As for how to delete the hidden partition on the USB drive in Windows? There are three useful methods and follow those steps below. If there is no important files and data in the hidden partition, you can delete all the data, partitions and format the USB drive. To do that, you can use Windows Disk Management Utility to finish. 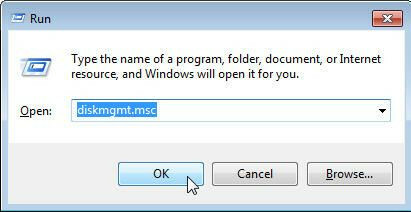 Press Windows​+​R on the keyboard, then type diskmgmt.msc ​in the ​Open​, and click​ OK to continue. In the Disk Management console, right click the USB drive and choose​ Format​. Confirming the USB Setting and perform a quick format. 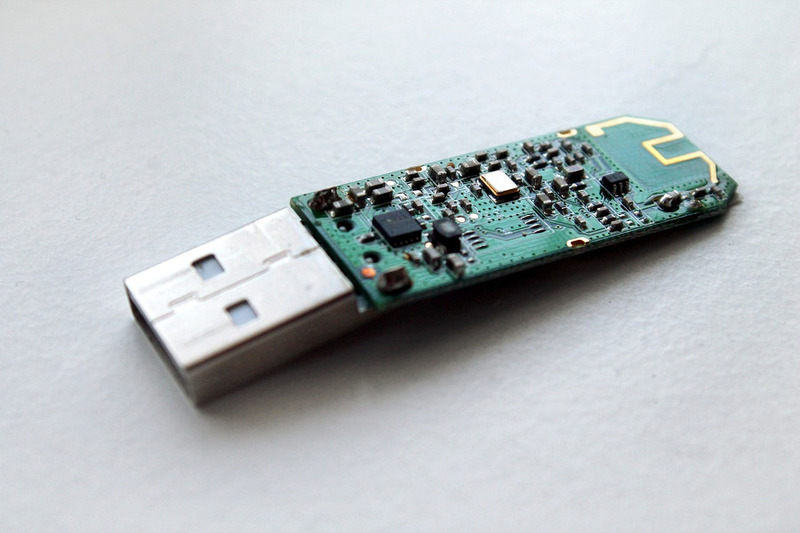 After finishing the format, you can use your USB drive successfully. But formatting the USB drive will lost all the data, if you don’t want get the data lost, you can try the following two solutions. As far as we know, DiskPart utility is more convenient than Windows built-in disk management. If you don’t want to lose your files in the hidden partition, you can give a try with DiskPart tool. Click ​Start – type​ cmd in the search box – right click the cmd program and choose ​Run as administrator​; then input diskpart ​and hit enter, type list disk and then all the disks on your computer displays. Here the local disk drive labels as Disk 0 and the USB drive labels as Disk 1, just type ​select disk 1 and click enter, then type select partition 0. ​This is the partition which been hidden in the USB drive. 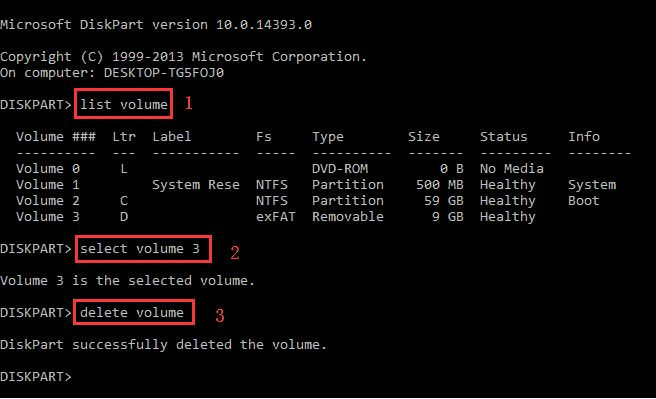 Type delete partition and hit enter, then the hidden partition will become to the unallocated space. Exit the command prompt, if you won’t do more actions on the USB drive. Since the operations of the diskpart is not easy and some inexperienced users can’t handle it accurately. Then some easy and trustful third party software come into being. AOMEI Partition Assistant Standard is an outstanding ​free partition software​ to manage hard drive and partitions for Windows users. Let’s check how it works well with easier steps. Step 2. Right Click the Partition G in Disk 3 and choose ​Delete Partition​ feature. Step 3. Just click Apply on the interface to perform the operation if there is no problem. That’s the all whole process to use AOMEI Partition Assistant Standard to delete the hidden partition in the USB drive. Besides the feature to delete the hidden partition on USB drive, there are many practical utilities to manage your hard drive and partition as well, such as to resize partition, to ​convert mbr to gpt​ disk, to migrate the operating system to SSD and so on. If you just want to delete the hidden partition on the USB drive, you can choose above solution or give a try one by one since all the three methods are totally free. Previous articleHP Spectre X360 vs Dell XPS 13. Which One is The Better?